Are you looking for the best ski jackets for women on the market? On this page you are going to find a few of the most beautiful, warm and comfortable ski jackets for women around! The best ski jackets need to keep you warm and comfortable, be waterproof, of course, and have beautiful bright colors, so people can always spot you wherever you are, for your safety! 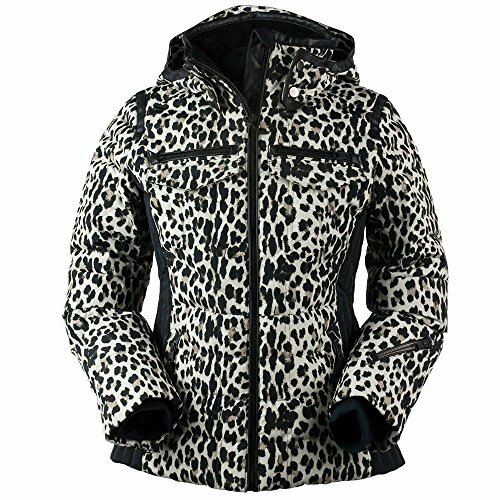 As a girly lady, I only like to wear girly jackets, of course, and in my opinion, the best ski jackets for (girly) women are the ones with the brightest colors and fun prints, just like this gorgeous leopard print down jacket on this picture and the warmest and most comfortable ones! The best jackets for going skiing need to be lightweight to wear and very comfortable. I would much rather invest in ONE fabulous winter/ski jacket than buy several cheap ones that will not serve their purpose. Going skiing is different than going for a walk. You need a lot of concentration and freedom to move your body and keep your balance. You can’t be wearing super bulky jackets or clothes that will hinder your performance. On this page you will only find high-quality women’s ski jackets for sale, based on their ability to keep you warm and dry! I also chose the most colorful ones too, since it’s very important to stay highly visible while going skiing! I hope you have fun here choosing a gorgeous ski jacket for you! 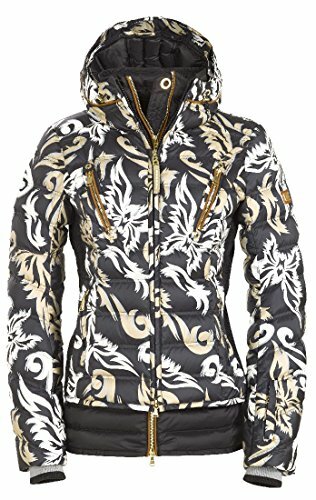 Cute Floral Design Bogner Ski Jacket for Women! This is one of the warmest and best ski jackets for women! Bogner jackets are among the best ski jacket brands for sale! You can never go wrong by investing in a gorgeous Bogner jacket, just like this ultra-fun and girly floral embroidery one you see on the picture! It’s one of the prettiest ski jackets around! I also love the beautiful and very flattering feminine fit! Overall a wonderful high-quality ski jacket for women! It is very warm and insulated! Will always keep you cozy and dry no matter what is happening at the slopes! Merry Christmas fellow girly ladies! It’s very pretty and it’s also fun! This is not only a very stylish and girly ski jacket, but also one of the best! It is completely insulated and designed to keep you nice, warm and dry at all times! It’s cute and flattering too! 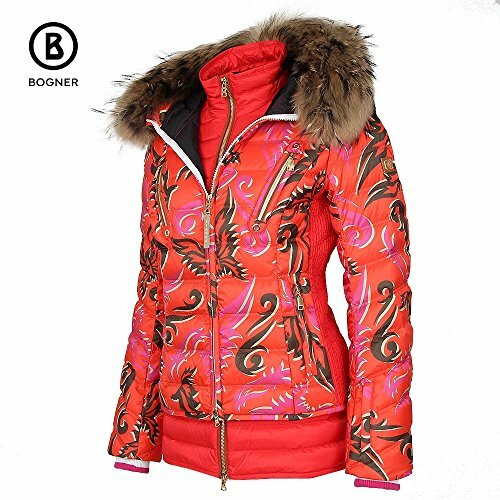 Another gorgeous, stylish and modern looking beautiful insulated ski jacket for women! I love the pink fabric design with cool chevron print! I love how warm and cozy it seems to be! I have so many great things to say about this jacket that I don’t even know where to begin! First of all it’s a super fashion BOGNER ski jacket! Couldn’t be more perfect for going skiing! Second of all it has a very flattering fit! I also love the fact that it has a nice and handy internal zip pocket, to keep your money, cell phone and credit card safe and dry while you have fun! When I saw this gorgeous and so very cool looking puff metallic gold color Bogner ski jacket I went crazy! 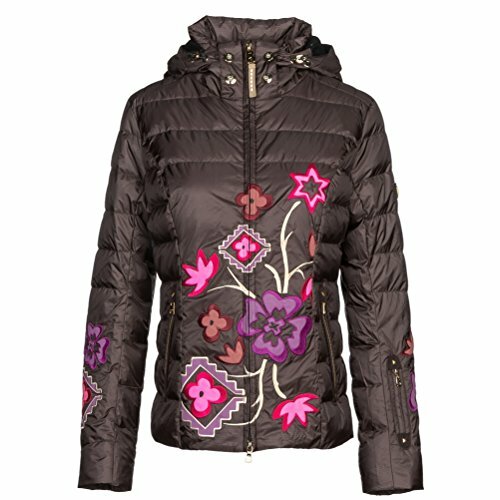 It is one of the most unique and warmest ski jackets for women! Beautiful shape, very sophisticated and unique design! Weatherproof and very warm too! I love this metallic color! *Guys, if you have been looking for an awesome Christmas gift idea for your girlfriend who loves skiing, look no further! She is gonna go crazy with this cool metallic Bogner jacket! 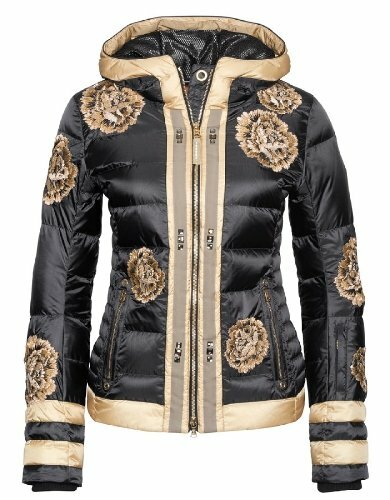 Floral Ski Jacket for Women! If you have been looking for the girliest ski jacket ever created, this is it!! It can’t get any more ‘girly’ than this! This is my favorite ski jacket for women from this page!! It’s a gorgeous floral print ski jacket! It’s fun, it’s colorful, it’s girly, it’s warm, cozy, comfortable and very stylish! 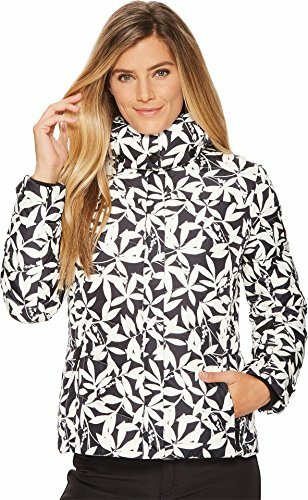 The best ski jackets for women need to have bright colors, for your own safety, and this gorgeous and girly floral ski jacket is perfect! Look what I found now ladies! Another girly and very pretty ski jacket for sale! This one is in 4 FUN COLORS! How unique and pretty is it? I love to wear cute and colorful jackets! They are so beautiful and girly! This is a gorgeous blue, pink, yellow and green insulated ski jacket for women! Very easy to spot all the time! It is also water resistant, so you will be able to enjoy a fun day skiing while keeping yourself dry at all times! As you probably noticed, Bogner makes the best ski jackets for women! Their quality, colors and design are amazing! 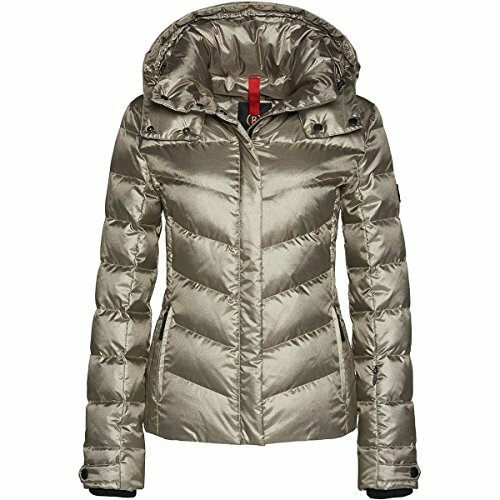 This beautiful ski jacket for women is light, fun and very sporty! Bogner also makes ski jackets with superior insulation, so you will always feel warm and comfortable! Pretty Ski Jacket for Sale! 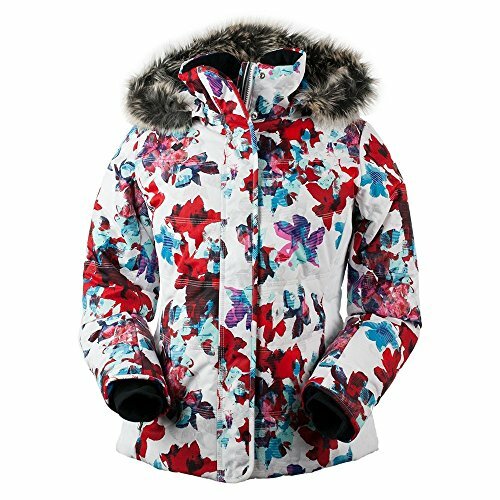 It’s another fun and colorful ski jacket for women! Beautiful and insulated floral PRINT mocha color ski jacket! 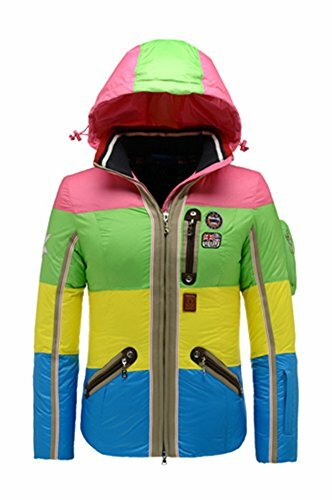 One of the best, most fun and most colorful cool and unique ski jackets for women without a doubt! Fun colors are always a god idea when going skiing! It is perfect to wear on a sunny winter day going skiing! 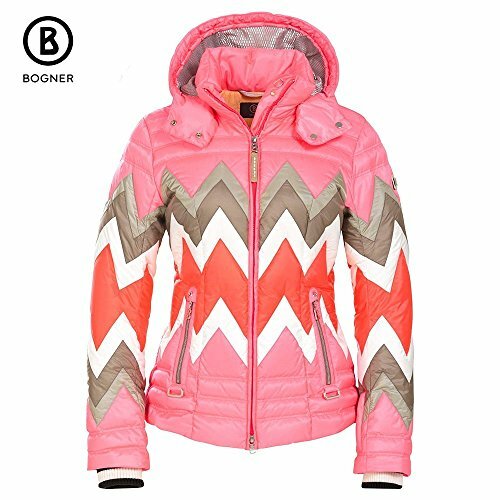 Bogner Ultra-FASHION Women’s Ski Jacket! Have you ever seen a gorgeous and super fashion ski jacket for sale before fellow girlies?? How fabulous and amazing is it? I love the perfect, flattering fit! It’s also a cozy, comfortable and very warm ski jacket! I love the cool zipper ! Colorful jackets are among the best to wear when going skiing! They are super easy to spot anywhere and they are FUN to wear! This is a beautiful bright red color women’s jacket! How can you not be happy wearing a gorgeous and warm ski jacket on a gorgeous day? *I hope you found a cool ski jacket for you today! WARMEST WINTER COATS FOR WOMEN 2015!